The WA Police Force adopts a 'whole of organisation' approach to ethics and behaviour. This means clearly setting out the expected values, practices and attitudes to its employees. Our Professional Standards portfolio proactively focuses on corruption prevention, quality internal investigations and best practice complaint management through Police Complaints. Police Complaints records, assesses, allocates and monitors complaints or other incidents requiring internal investigation. The WA Police Force developed the following programs and processes to assist with managing and developing police officers and police staff. The WA Police Force Code of Conduct assists all our business areas with identifying and treating corruption risks in their areas. Improve community confidence in the integrity of the WA Police Force. The Code also complements the Western Australian Public Sector Code of Ethics which requires the development of, and compliance with, an agency specific code of conduct. The Code clearly spells out what is expected of all personnel of the WA Police Force and outlines the parameters that will enable each of us to exercise sound decision making and be exemplary in our conduct. 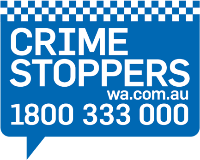 The Blueline is a confidential dedicated telephone line for WA Police Force personnel who are concerned about the unethical conduct of any WA Police Force member or employee. Callers will be electronically offered the choice of direct communications or, if they desire, anonymous reporting. Information provided will be treated with the highest degree of confidentiality. The Supported Internal Witness Program is available to WA Police Force personnel who report unethical conduct whether voluntary or under obligation in the course of an internal investigation. The program is designed to offer support and practical assistance to counter the potential negative aspects of police culture and encourage all personnel to play their part in establishing the highest possible standards of ethical and professional conduct within the WA Police Force. The Public Interest Disclosure Act (the Act) enables people to make disclosures about wrongdoing within the State public sector, local government and public universities without fear of reprisal. The Act aims to ensure openness and accountability in government by encouraging people to make disclosures and protecting them when they do. The WA Police Force encourages all managers and supervisors to adopt a Managerial Intervention Model (MIM) to the resolution of behaviour, conduct and/or work performance matters/issues identified as a result of a complaint(s) against police. The MIM is a remedial/developmental approach which recognises that officers will make honest mistakes and which provides a "fair go" to change behaviour, conduct and/or performance leading to improvement in both organisational and individual performance. The nature of police officers' work is such that they must have special authority that should not be abused. The Corruption and Crime Commission (CCC) is a leading Australian anti-corruption body. The Western Australia Police Force strives to provide the highest level of police service to our community.